Born İzmir, Turkey, 1944. Bachelors, Oregon State University (1967); MBA, Harvard Business School (1969). Hüsnü Özyeğin, the founder and owner of Turkey-based FIBA and a self-made billionaire, discusses in two interviews how he built one of the country’s largest financial services and banking groups. After an American education at the Harvard Business School, where he was the second Turkish MBA student in the school’s history, Özyeğin relates the remarkable story of how he became a general manager of a bank owned by a friend at the age of 32. He explains how he built a corporate culture at that bank, hiring top management and graduates from leading universities. He subsequently turned round a larger and loss-making bank, during the deeply challenging conditions of high inflation and military governments. In a second interview, recorded on video, Hüsnü begins with explaining how he established his own bank, the Finansbank, in 1987. This bank, which was focused on the corporate sector, expanded rapidly, both in Tukey and in Europe. Finansbank became one of Turkey's largest private banks, with 200 branches in 10 countries. He sold his interest in the bank in 2006, but his FIBA Group continued as multi-billion investment holding company with diversified interests. Özyeğin also explores his commitment to expanding educational opportunities for women. After learning that only 5 per cent of girls in an outlying province continued in education after primary school, his charitable foundation built twenty-five female dormitories next to high schools in large cities, enabling a whole new cohort of young women to be educated to a higher level than in the past. Kevin Miller, "Come Ready, Go Boldy," Oregon Stater, Fall 2012. Video file of part of this interview available at Baker Library Historical Collections, histcollref+hbs.edu. Harvard ID holders can access the full video above. 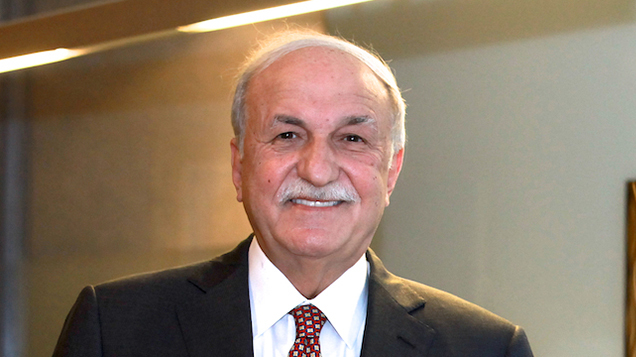 "Interview with Hüsnü Özyeğin, interviewed by Felix Oberholzer-Gee, March 5, 2014 and September 16, 2014, Creating Emerging Markets Project, Baker Library Historical Collections, Harvard Business School, http://www.hbs.edu/creating-emerging-markets/."